Birthday balloon and best wishes for my M.I.L. 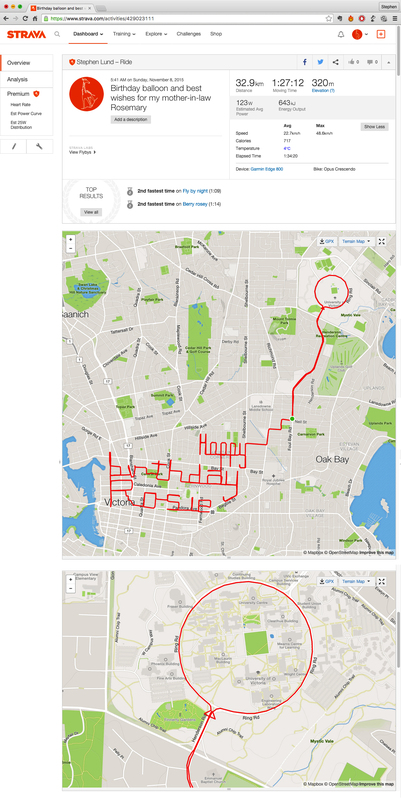 A big GPS-doodles happy birthday to you, Rosemary! Ever since I embarked on my GPS doodling journey, my mother-in-law Rosemary has been one of my most enthusiastic fans and supporters. Today’s her birthday, and she deserves a gigantic birthday balloon and 33 kilometres (20.5 miles) of birthday wishes. Have a happy birthday, Rosemary!